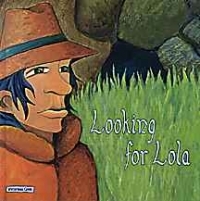 Great Britain, Ireland & U.K.
On a mountain meadow high up in the alps, Jack the shepherd has lost his favorite goat, Lola. Ready to help, two cavers adventure into a nearby cave in hopes of rescuing her. You can join them on their journey, and find out what awaits them below. For the read-to or early reader ages. Adults will enjoy sharing or having this delightful caver story, too!